Struble's 40-year tradition of meticulous hand-craftsmanship combined with the world's finest materials continues to bring you the most trustworthy, aesthetically pleasing, and dependable fly-rod components on the market. Our broad selection and unparalleled customer service make Struble the only choice for the discerning fly-rod builder. Stripping guide feet are tapered and flat-bottomed to ensure perfect mounting on bamboo or round blanks. Availabile in bright nickel or dark nickel finishes. 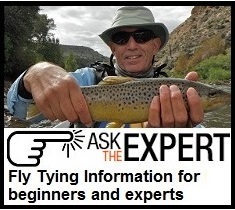 Planning Ahead: As with building your fly rod, time and patience are required for crafting our guides. While we have most colors and sizes in stock and ready to ship, be sure to order early, especially for guides plated with dark-nickel silver.